Lyric soprano Natalie Mann is a world renowned opera singer who works hard to stay svelte and ready for astonishing performance gowns. Natalie lives in San Diego but is a midwest girl at heart.Growing up on a farm, she was raised on the typical midwestern diet and had to fight like any coed to resist the freshman 15 pounds.Throughout her education and early performances she realized that while most everyone was interested in her voice, she felt more powerful and in control of her future when she was also hitting the gym, eating smart and drinking plenty of water. As her career exploded and she began traveling the world to sing, she found her busy lifestyle to present many eating and exercising challenges. Any woman with an on-the-go lifestyle needs to decide for herself if she is going to go with the flow and eat the foods she happens to come across or if she will decide to intentionally choose the foods she knows will be best for her health. Similarly, when on the road, Natalie has difficulty finding convenient gyms and so she has developed routines in her life that integrate exercise into her daily activity. She works out in her hotel rooms, she takes the stairs instead of the elevator, and uses her luggage for squats. When at home she is active taking yoga classes, jogging, swimming and surfing. Natalie Mann continues to be an audience favorite both in the opera hall and on the Natalie-Mann concert stage. A recent winner of the Audience Favorite Award in the David W. Scott Memorial Competition, she brings her lush and warm soprano to life in a variety of roles ranging from Mozart and Puccini to Verdi and Strauss. Mann also enjoys concert work, and has been noted for her soprano solos in J.S. Bach’s Magnificat and Mendelssohn’s Elijah, under the baton of Sherrill Milnes. After making her debut with the Chicago Symphony Orchestra in 2006, singing excerpts from Lakme in the Family Concerts conducted by Duain Wolfe, she developed a relationship with the South Shore Orchestra and was a featured soloist on its New Year’s tour in China. Mann was recently named a Resident Artist with Riverside Lyric Opera, where she will next sing the title role of Puccini’s Suor Angelica in 2015. She maintains a busy performance schedule with companies in Southern California, including the Los Angeles Opera Education Department. In 2011, she made her debut with San Diego Opera as a Noble Orphan in DER ROSENKAVALIER. Showing her artistic depths in art song, Mann made her debut at Carnegie Hall in 2011, in a concert featuring the work of female American composers. This led to a wonderful collaboration with composer Lori Laitman, and a release in 2013 of a CD on Albany Records titled EXPERIENCE, with world premiere recordings of songs of Laitman and American composer Richard Pearson Thomas. The reviews have been outstanding. Among them is one from the prestigious American Record Guide: “A superb exponent of contemporary American songs, soprano Natalie Mann has a voice that is simultaneously strong and tender, passionate and subtle. Her phrasing is sensitive to the texts and unfailingly musical. She maintains a busy performance schedule with companies in Southern California, including the Los Angeles Opera Education Department. In 2013, she made her debut with San Diego Opera as a Noble Orphan in Der Rosenkavalier and was most recently seen with the La Jolla Symphony and Chorus in December 2014 as a soloist in the Beethoven 9th. 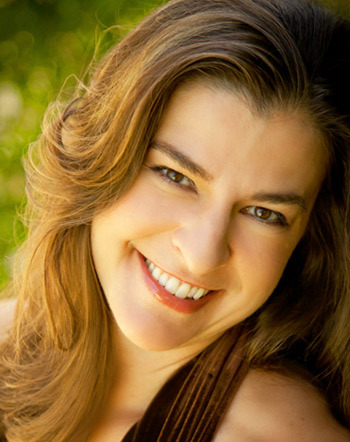 Mann also enjoys concert work, and has been noted for her soprano solos in J.S. Bach’s MAGNIFICAT and Mendelssohn’s ELIJAH, under the baton of Sherrill Milnes. After making her debut with the Chicago Symphony Orchestra in 2006, she was invited to appear as featured soloist with the South Shore Orchestra on their New Year’s tour in China. Other recent engagements include soloist in the Beethoven 9th Symphony with the La Jolla Symphony and Chorus in December 2014. Upcoming engagements also include performances with the South Shore Orchestra and several recitals throughout the U.S. She was recently named a Resident Artist with Riverside Lyric Opera, LA, where she will appear in the title role of Puccini’s Suor Angelica in 2015. Other upcoming engagements include ‘An Evening At The Opera’ with the South Shore Orchestra and recitals in Chicago in August 2015.